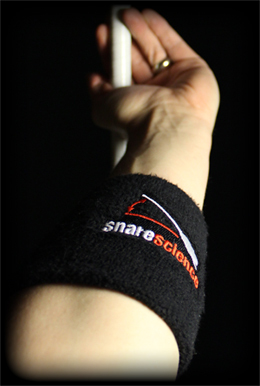 Want to show the world you are a snare scientist? This silicone wrist band comes printed with the standard snarescience.com logo. Save 50c each when paying with Bitcoin. These woven cloth arm bands are embroidered with the snarescience.com logo. Arm bands are perfect for keeping the sweat from dripping down to your hands during sweaty rehearsals or practice sessions. They are also ideal for use with typical performance uniforms - keep the butts of your sticks out of those pesky sleeves! Save 50c each when paying with Bitcoin.